Twiga Foods Ltd is looking to expand to other African cities following its success in Nairobi. It will first move to East African cities such as Dar es Salaam and Addis Ababa. Thereafter, it plans to enter Africa’s most populous city, Lagos. The move to Lagos is mostly precipitated by the fact that the Twiga CEO Peter Njonjo worked there for three as Coca Cola’s regional head for West and Central Africa before his move to Twiga. Twiga Foods was founded by Grant Brooke and Peter Njonjo in 2014. It works by linking smallholder farmers in rural Kenya to informal retail vendors in cities. With Twiga’s mobile platform, vendors can be able order fresh produce from farmers across Kenya at the most competitive prices. 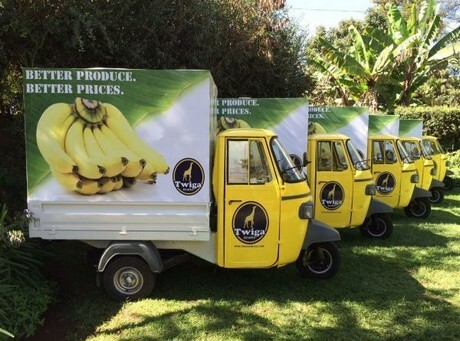 Twiga currently sources fruits and vegetables from 17,000 farmers and delivers them directly to 180,000 informal traders on a daily basis in Nairobi and its environs. They started off connecting banana farmers to vendors in cities, but it now works with other produce such as cabbage, mango, potato, onions and tomatoes. Twiga operates collection centers across Kenya, as well as a central pack house with cold storage facilities.